Have you ever wondered why the next generation of American electric cars was not developed by the traditional US car manufacturers or why the biggest competitors to hotels and taxis are private apartments and private drivers instead of hotels and taxis? It is mainly because the newcomers enter the market with a New Thinking ahead of traditional companies. Therefore, if we want to participate and win in a growing Digital Economy, we will have to change our thinking patterns quite drastically in order to create new offerings for the digital age. This article describes the "New Thinking Patterns", which can help companies and individuals to grow their business in the coming years by adapting their products and services to the new world. It is human to believe that past success is the basis for future success, specially if we don't change anything. Nowadays the opposite is true. Very successful companies such as Nokia, Kodak, Polaroid, Blaupunkt, Technics, etc. have experienced a sudden loss of market share because they could not adapt to the next wave in the market. The story of Polaroid is a good example on how a market leader can lose almost everything and then recover after going through a very painful experience. 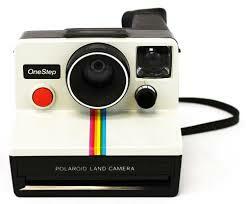 We all know that Polaroid was the leader in instant photography market. At the peak of its success in 1983 it had 13.402 employees, 1,3 billion USD in sales and more than 1.000 patents. Being the only company that owned the technology for instant photography, Polaroid was used to extremely high profit margins above 50%. So, when its development organization tried to enter the digital age with new products there was always the fear of competing with the own market. It was inevitable that the target market had to shrink due to the appearance of digital cameras and smartphones. So, after many years of decline, Polaroid filed for bankruptcy in 2001 and was acquired 2002 by One Equity Partners. In 2009 it filed again for bankruptcy and was bought by an investor group for only 88 million USD. In 2012 (one decade later) Polaroid finally accepted the reality and made the change announcing the SC1630 smart camera with media player, which uses Android as an operating systems and can therefore download apps from Google Play and share images instantly in social media. 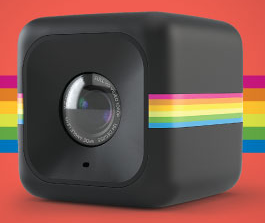 In 2014 it announced the Polaroid Cube (*), which is an action camera competing directly with the GoPro Hero (**)camera but at a much lower price range. So, all new products reflect the clear understanding of the current customers and the relevant technology. What can we learn from this failure and success? We can avoid these difficult situations by changing our Thinking Patterns and moving ahead with a different view of the world. The following basic thinking concepts may help you in your journey to win in the Digital Economy. Test yourself ! Building a distribution channel in a Digital Economy is often easier than developing a product. A good application can easily connect providers and customers, specially if the goods to be exchanged are not physical but rather knowledge or digital. Based on your current situation and market knowledge, may be your company can focus on creating a channel instead of more products. In traditional stores we are used to deal with fixed prices but on the other side we accept that prices for the same products in Amazon may float and change many times per day. The Digital Economy has introduced the price zero and price flotation. Maybe it is time to consider both options for our offerings. Price zero for those digital products or services which we want to distribute to acquire new customers and floating prices when we have generated demand. But, these modern pricing strategies can only be implemented if the company's enterprise application systems can handle floating prices. Products and services have become fragmented (split into pieces) and the distribution has adapted the terms and conditions for the on-demand business. Instead for buying a car or renting it by day, people request renting it by the minute. To respond to these needs, products and services are more granular and the billing capabilities adapt to the smallest unit of usage (minute, user, etc.). Having an on-demand offering can be a competitive advantage. Internet, social media and mobile technologies have reduced our attention time and patience to a minimum. Most people find it hard to read 10 minutes in a row or focus on one activity for one single hour. Therefore, customers expect things to go at the "speed of light" and switch providers if the get bored. The key question is how can we change our customer interactions in such a way that they become much faster, reliable and exciting than in the past. Leaving internal and external processes as they are may represent the loss of customers in the future. Everybody talks about Big Data, but most companies have "Small Data", which is not being used. 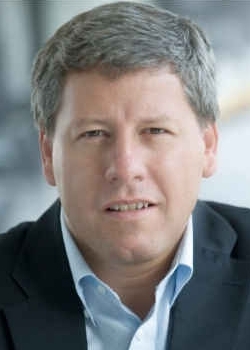 By evaluating the company data most enterprises may discover many jewels of information, which can provide deeper insight into customers, which can help to drive more business. Normally we are not used to see information as an asset but it can represent a competitive value when used properly. The Internet has allowed to create virtual organizations, which can be as powerful as traditional organizations. As an example, Wikipedia has displaced Microsoft Encarta and it was created by thousands of contributors. We tend to think that only companies and individual persons have the knowledge and the power. In the new economy, the opposite is true. Building a network o people of companies can generate a strong impact. Getting the knowledge from a network of experts can resolve problems much faster than normal. Based on your current situation and connections, maybe it is time to create or use a network of people or companies. Distribution Channels - Amazon built THE ONLINE RETAIL DISTRIBUTION CHANNEL of the western world. Floating Prices - In the same way as airline and hotel booking websites, Amazon applied floating prices to almost all retail articles. Today it indirectly dictates prices to retailers. On Demand - Amazon entered the new on-demand hosting market with virtual servers and is years ahead of the nearest competitors (traditional IT companies). Speed - Depending on the country, Amazon delivers goods in one to three days (with or without signing to Amazon Prime) and has created the highest standard for fast and reliable customer service in the online industry. Information - Being an online retail channel for everything, Amazon has the information on purchase patters of many people. This is why it can (like not other company) make purchase suggestions based on that information. Power of the Network - Amazon also created the concept of people rating books and products and will use now this information in their physical book stores in the US. This rating information is a key differentiator and a competitive advantage. In case you need an external view in the Thinking Patterns that may help your organization create new products and services, or your need the Enterprise Application to manage your business in the new economy, feel free to contact us at info@calvisystems.com. It will be a challenge to change the way we think to create digital offerings instead of traditional products and services.